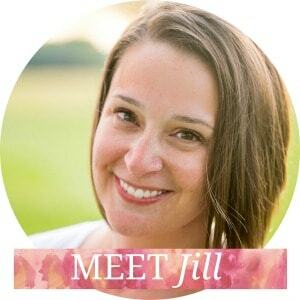 Hi, I’m Colleen with Just Paint It! 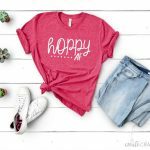 I’m so happy to join Create Craft Love’s Christmas Wreath series this month! It’s true that I spend most of my time painting now but for many years I was a floral & display designer. So, particularly when the holidays roll around, I absolutely love making wreaths and decking the halls with something other than a paintbrush. 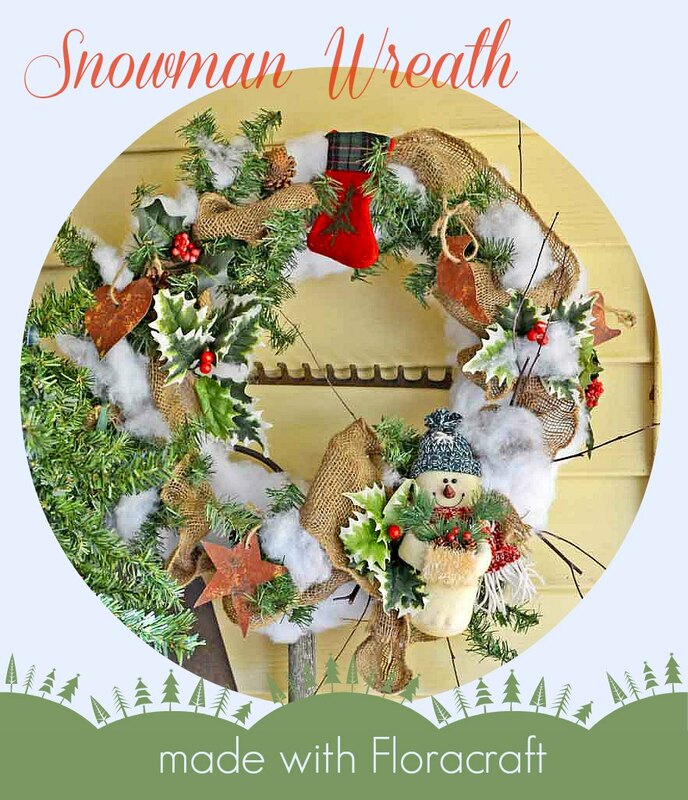 I just know you will love my Snowman Wreath! Wreaths are one of my favorite pieces to make because there are so many ways to be creative! I can’t go any further without a huge Thank You to Floracraft for supplying the beautiful STYROFOAM™ wreath to work with. 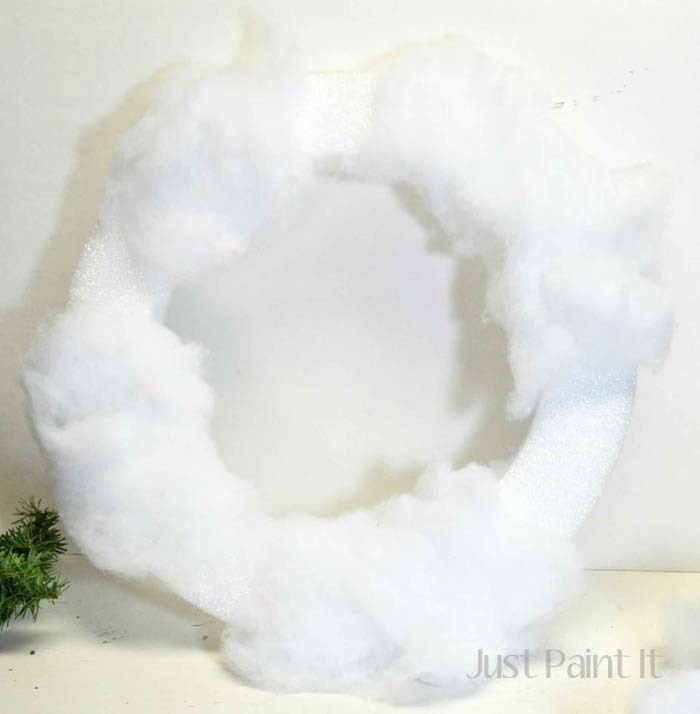 There are many different types of wreath bases but STYROFOAM™ is by far one of the easiest to work with. Obviously, you can use whatever ornaments, decorations and ribbon you already have. 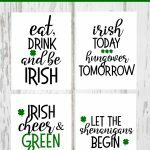 That’s why I love wreaths – you can put all kinds of fun decor in them! I do themed wreaths too, usually for each room in the house. 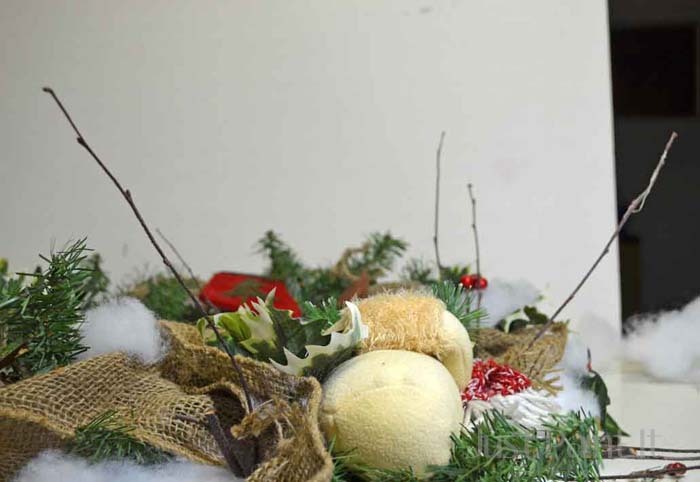 Step 1 – Loosely cover about two-thirds of the wreath with batting. 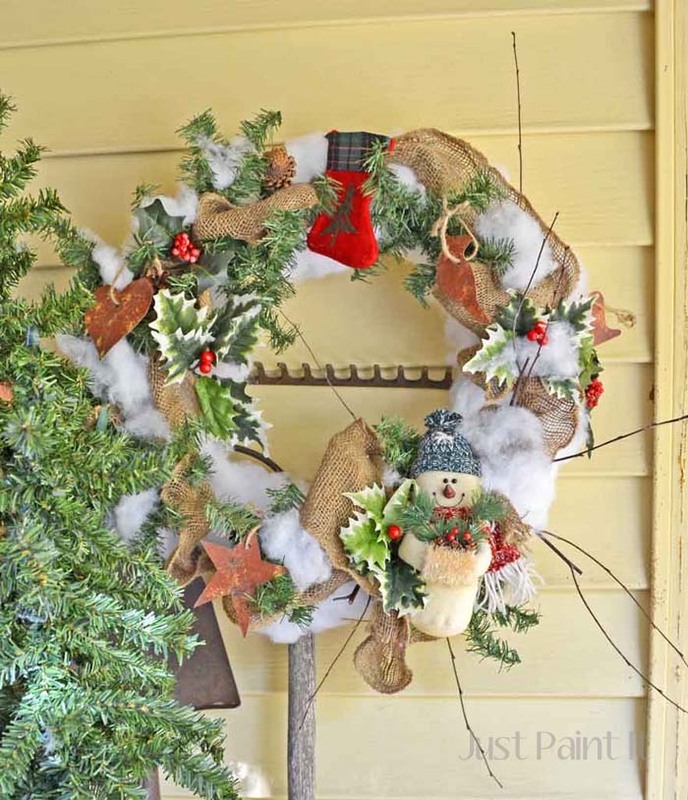 You don’t need to glue or secure the batting to the wreath and you don’t need to cover the entire wreath as you’ll fill in with the pine garland, burlap and other decorations and these will help anchor the batting to the base. 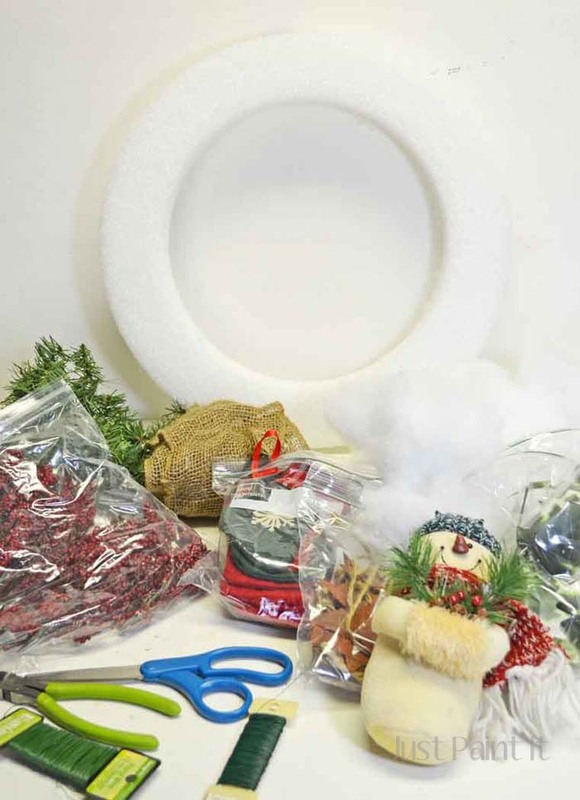 Step 2 – Attach the snowman to the wreath. Cut a long piece of paddle wire, wrap it around the wreath and twist it, then wrap the ends around the snowman and twist taut. If possible, camouflage the wire with the snowman’s clothing or you can use pine garland if that isn’t possible. Make sure the wire will hold the snowman. If he’s heavy, you might need to wire him in two or three spots. 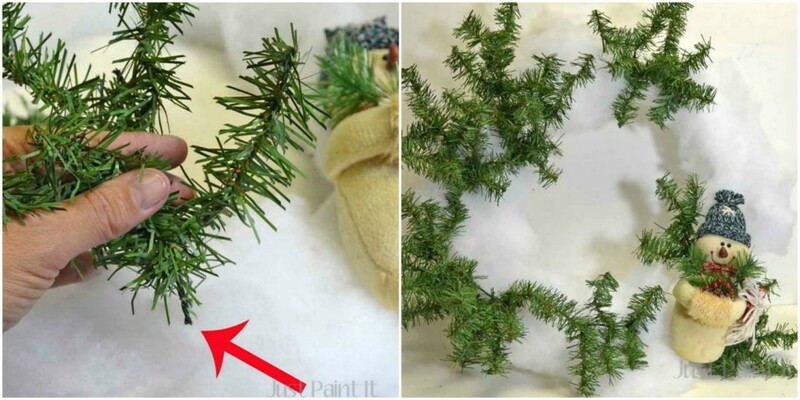 Step 3 – Cut pine garland into small pieces leaving wire attached to insert into wreath, then insert pine into wreath. 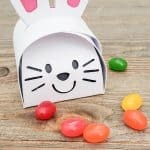 Use as much or as little garland as you like. It also looks nice to cut the pieces in varying sizes so they’re not all the same. 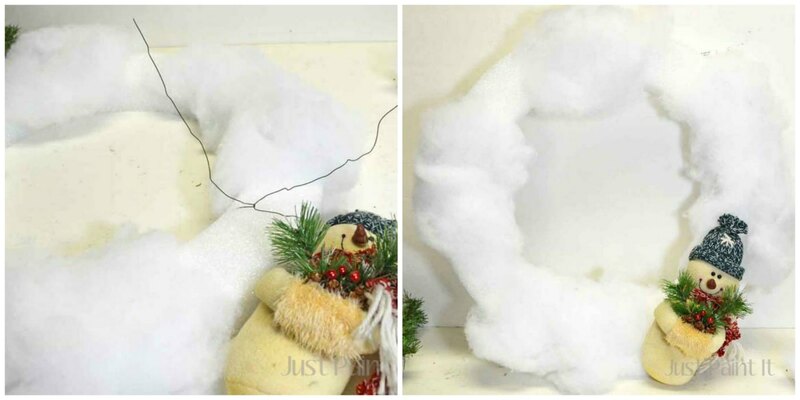 Make sure you add pieces to the outside and inside of the wreath form too, not just the top. Step 4 – Make approximately 8-10 “U” pins from stem wire. 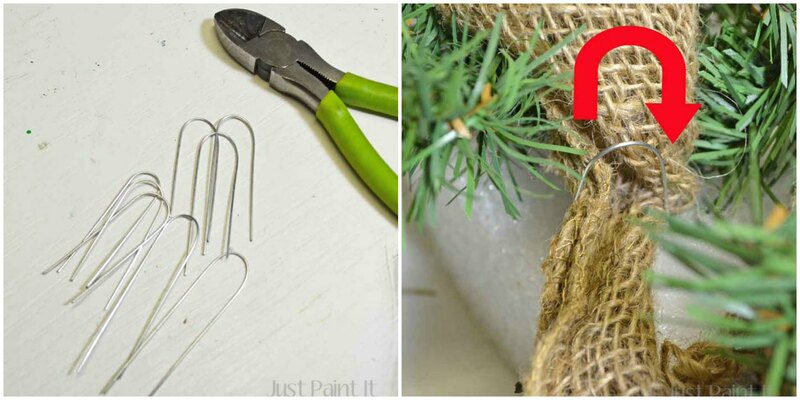 Cut stem wire into 3-4″ lengths then bend into U shape. 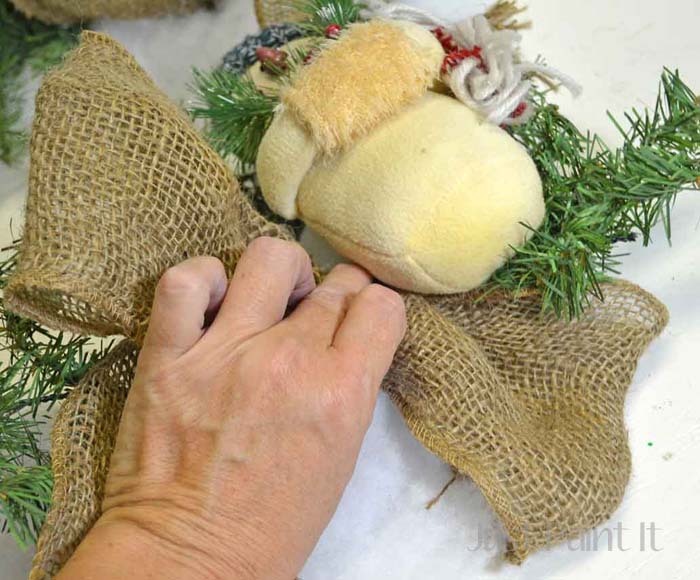 Step 5 – Gather ribbon between fingers then secure to wreath with U pin. Move around the wreath continuing the process until you have as much ribbon as you’d like. 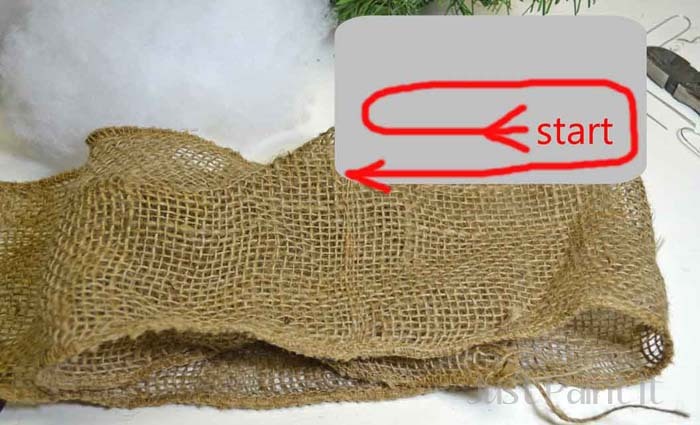 Step 6 – Make ‘bow’ by wrapping burlap on top of itself, creating two folds, or loops. 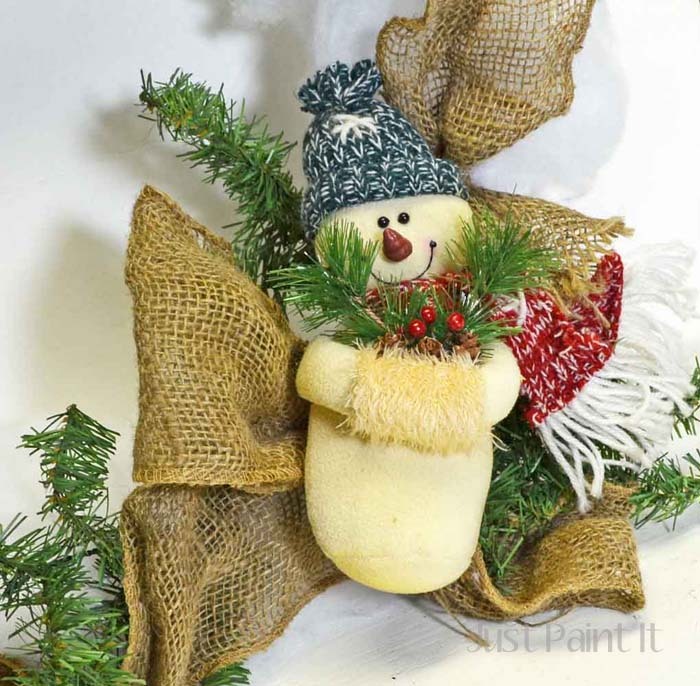 Step 7 – Pinch edges of all layers of burlap “bow” together and fasten to wreath with U pin, underneath the snowman. 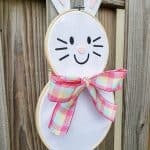 Arrange ribbon loops until you have the appearance of a bow. 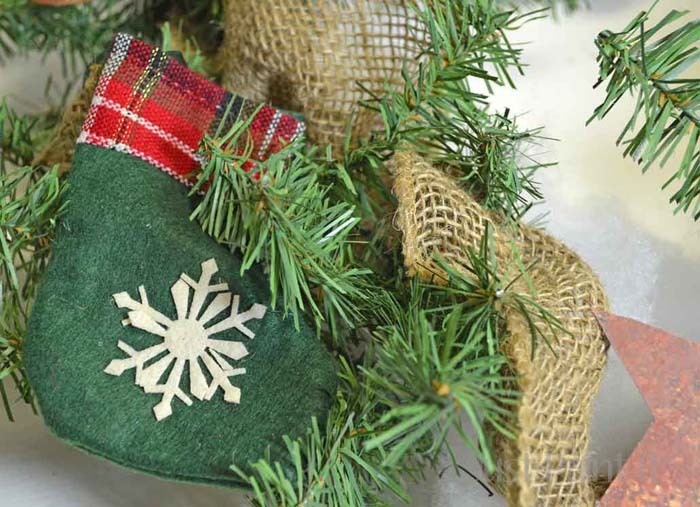 Step 8 – Add remaining ornaments, decorations, and holly leaves, spreading them throughout the wreath. 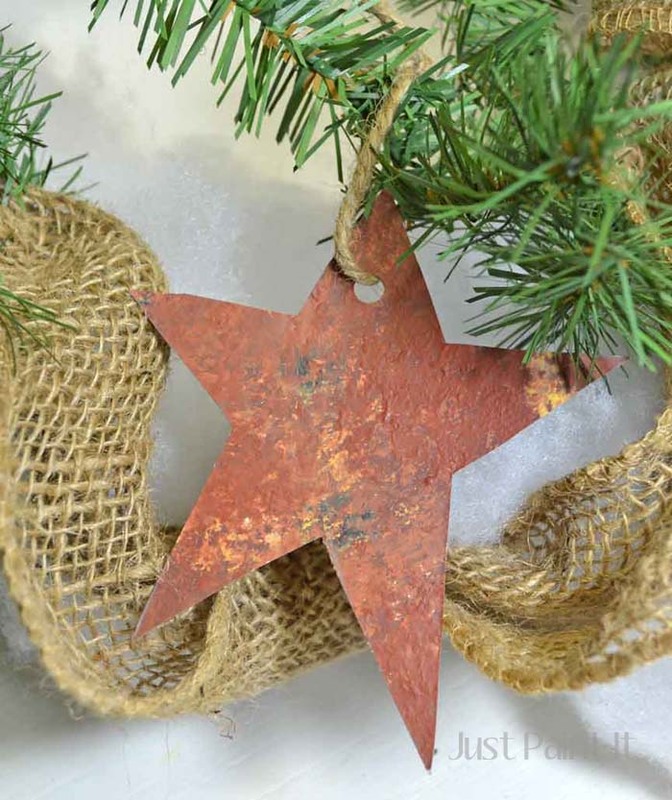 Rather than gluing ornament to wreath, use the wire of pine garland to anchor ornaments. Glue tends to release in lower temperatures where wire is secure. Step 9 – Insert birch twigs surrounding the snowman. 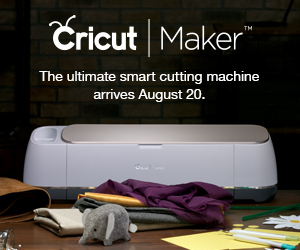 Birch is strong enough that you should be able to insert it without adding any additional wire. Make sure you insert a few of them at angles so they’re not completely flat or on the same plane as the wreath. And finally, fill in any gaps with batting. I do hope you’ll stop by Just Paint It soon and check out some paint projects. 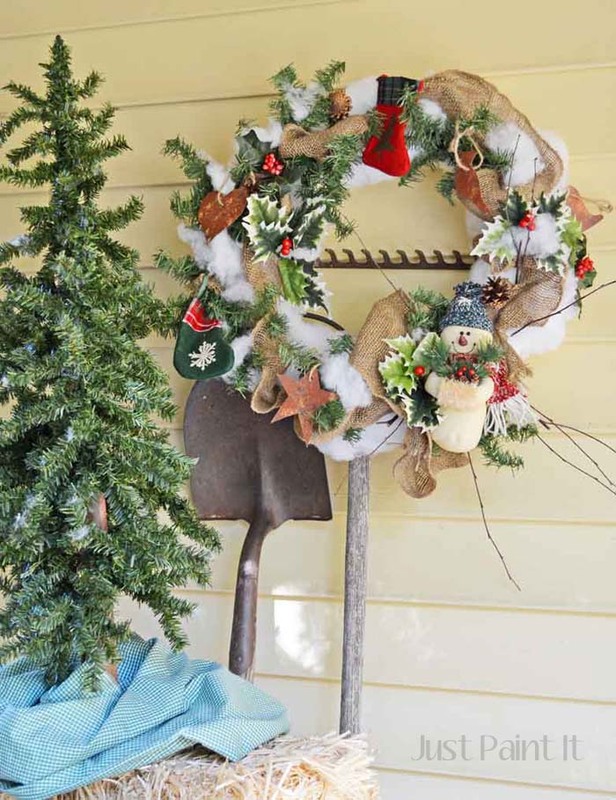 Although, you might enjoy some of my holiday decorating posts, since the season is upon us. For the new year I’ve got some exciting new painting classes coming – totally for beginners and non-painters! 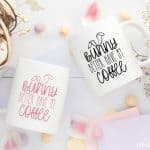 – so follow me on Facebook or Instagram to get the dates and see what we’ll be painting. Those classes always fill up quick, so social media is the best way to find anything out. We’ll be doing some art, some craft, a little furniture and maybe even some watercolor! ‘Cause, you know, we’ll Just Paint It! 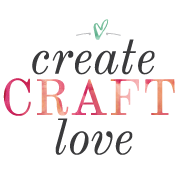 I want to thank Jill and Create Craft Love for letting me join in this month’s wreath fun, as well as Floracraft too. 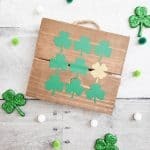 I had a blast and hope you got some ideas too!